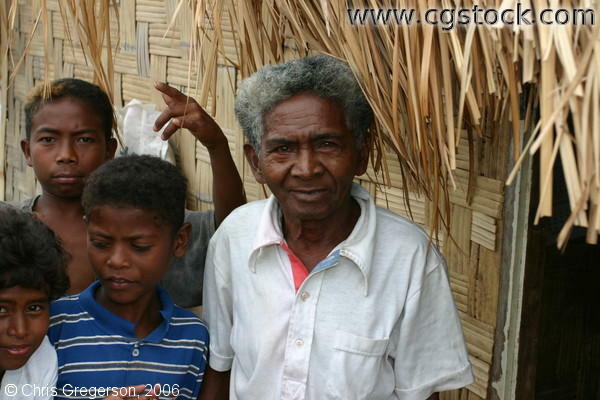 Shown here is one of the older man residing in the Aeta Settlement Area in Pampanga with a nipa hut on his background. Traditional Aeta communities (and generally a Filipino trait) hold high regard for the elderly. It is important that utmost respect be given to them.